PCD Pharma Franchise in Bihar – Looking for PCD franchise in Patna, Gaya, Bhagalpur, Muzaffarpur, Purnia (Purnea) etc? Want best deals of pharmaceuticals drug franchise with top Pharma Franchise Company in India? Biofield Pharma welcomes everyone! We are a reputed company owning an extensive list of medicines/ products consisting of tablets, capsules, injectables, syrups, powders, ointments, drops, soft gels etc. They all are available for PCD pharma franchise in Bihar at affordable and genuine rates. Moreover, all our products are produced with the quality standards of WHO and GMP. Bihar is a good place to start your own venture at most genuine investment plans. The state has a good population and you can actually have a good medicine business here. 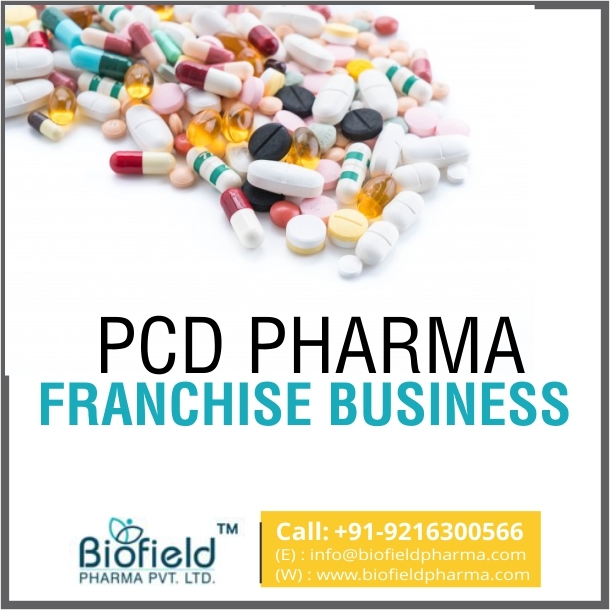 Biofield Pharma brings you PCD pharma franchise in Bihar. The business opportunities open door to multiple segments where you can take up the PCD franchise. These consist of generic medicines, pediatric, dermatological drugs, orthopedic, nutraceuticals, diabetic etc. Our products list is DCGI approved and meets all your demands for quality, durability, and efficacy. Each of our medicine is made in GMP-WHO units that follow strict quality measurement guidelines suggested by experts. You can know more about our PCD franchise deals near you by dialing +91-9216300566, +91-9216300166 or dropping your queries at info@biofieldpharma.com. We will be offering a quite attractive range of medicines, good business opportunities, marketing support and a better scope in the market. Our company has registered dealers all over Bihar in close proximity. You will get all your orders within the prescribed time. you can take Pharma franchise in different segments and markets at most reasonable rates. Get to choose from over 300+ drugs medicines and multiple segments for PCD franchise business. We have chosen a reasonable pricing policy to meet the demands of all sections of society. You can be assured of the best quality each of our drugs carries with it. The whole manufacturing has taken place in GMP-WHO units with the best of techniques and technology. Best packaging solutions have been used and hygienic containers have been used for storing them. Third largest populates state has a high demand for quality medicines. the emphasis and interest of the government in healthcare, hygiene, and medicinal facilities have given rise to good demand here. People are getting more aware about health care rights and services. thus, they are spending well on healthcare needs and good medicines. PCD franchise has a good return on investment making it a profitable industry. Skilled, Trained and Experienced Staff in R&D. Effective techniques for producing medicines. We have been sophisticated and professional in our ways of delivering high-quality content to our members. You will enjoy the vast pharmaceutical medicines range that is being strictly monitored by our expert. Currently, we have a good vacancy available for locations in Bihar. You can call us now and know more about our company Franchise deals near you.